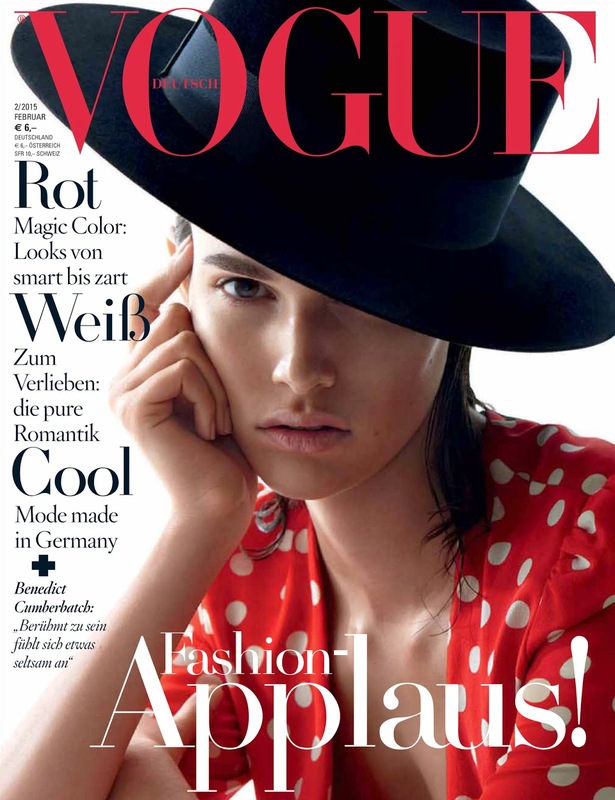 One of modelling's most illuminating new faces is everything for German Vogue's February 2015 issue in an editorial lensed by Camilla Akrans. The eighteen year old Texan ingenue displays serious modelling chops for the studio shoot decked out in red and black ensembles styled by fashion editor Nicola Knels. 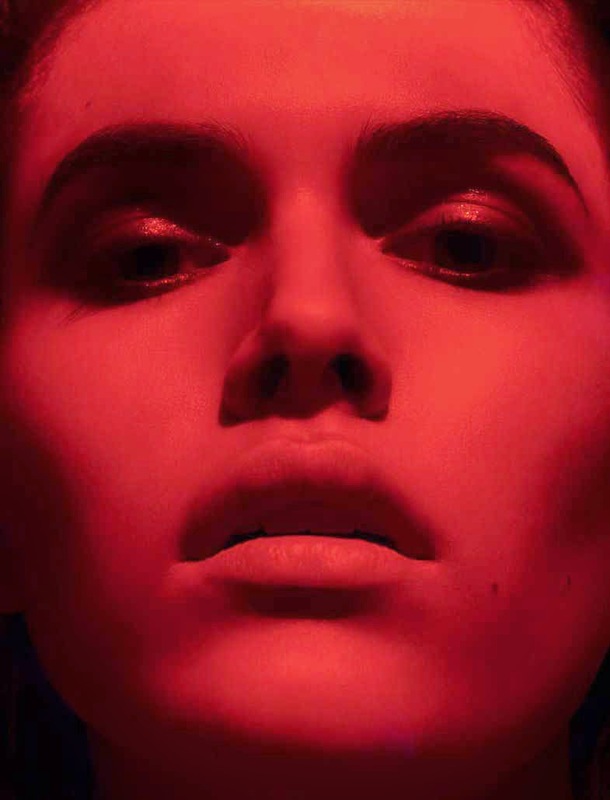 Moody's dark brooding looks, bee-stung lips, and powerful presence have garnered the attention of industry heavyweights including model-maker/photographer Steven Meisel who captured her for Vogue Italia's July and September 2014 covers and Coach's Fall/Winter 2014 campaign. Designer Alexander Wang is also an ardent fan selecting the Women Model Management-repped beauty to open his past two ready-to-wear shows and to appear in the label's Fall/Winter 2014 campaign. Moody's stunning Spring/Summer 2015 show tally of 46 bookings and recent editorial turns in Love, W, Interview, Paris Vogue, and i-D not to mention a Spring/Summer 2015 Valentino campaign berth, place this highly coveted newcomer on red alert heading into the Fall/Winter 2015 show season.